Luke has today and tomorrow off so our plan today is to not have too much of a plan and enjoy it! We started the morning off slow with some red, white, and blue pancakes (gluten-free pancakes with fresh strawberries and blueberries). Then tonight we will enjoy some grilled corn on the cob and steak kebabs. After that? I’m sure we will grab a picnic blanket or our camping chairs and drive out to one of the many wonderful fireworks show displays in the area. 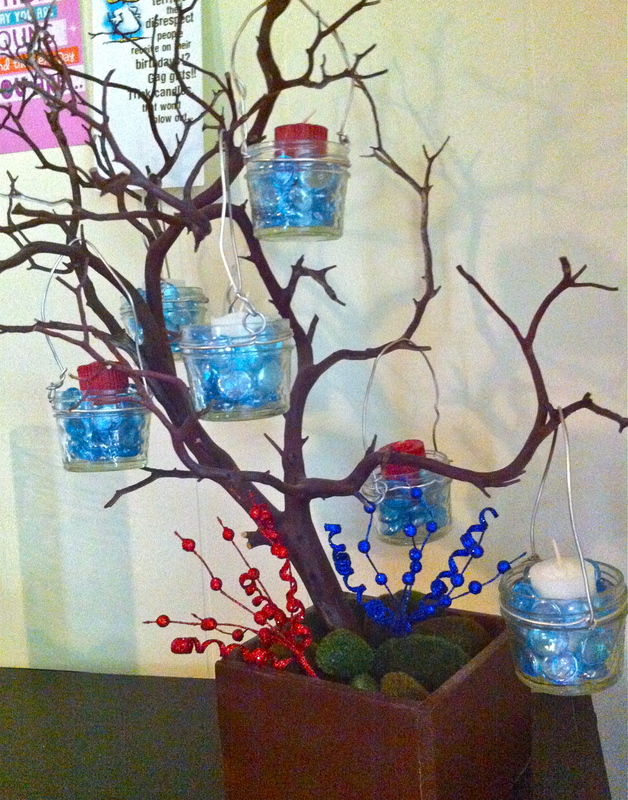 If you are a last minute planner or got a last minute invite to a party today check out my Memorial Day treat. 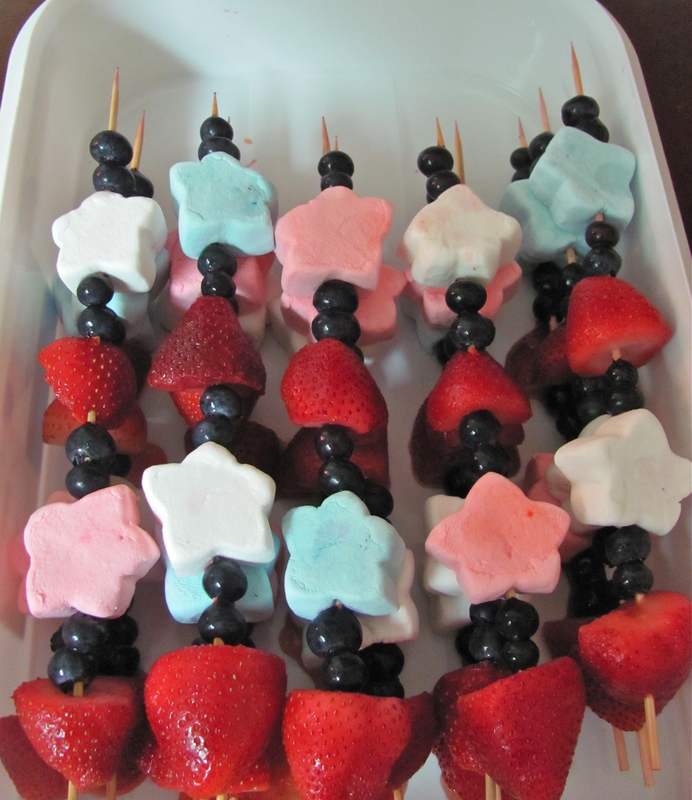 They are fast easy, dessert kebabs only assembly required. 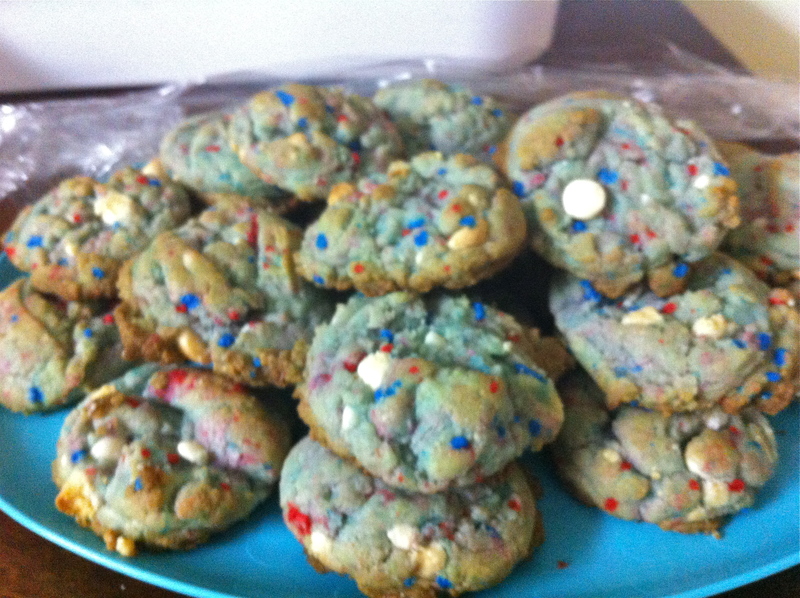 Or if you have about an hour and a cake mix lying around check out my 4th of July funfetti cheesecake cookies. What are your patriotic day plans? Happy Fourth of July to you and Luke!🇺🇸 We are in Covina with your parents and are trying to decide how to celebrate. Looking forward to seeing you on WA! Sent by some sort of electronic magic! We started the day sloooowly. Then watched the parade with Grandma G. She will be here for lunch. Not sure what we will do this afternoon. It is a gorgeous day here. About 70 degrees and sunny with a slight breeze. Perfect! for a parade. We plan to BBQ this evening, but first I want to get out and enjoy the sun! Have a Happy Fourth of July!